And then we made these. 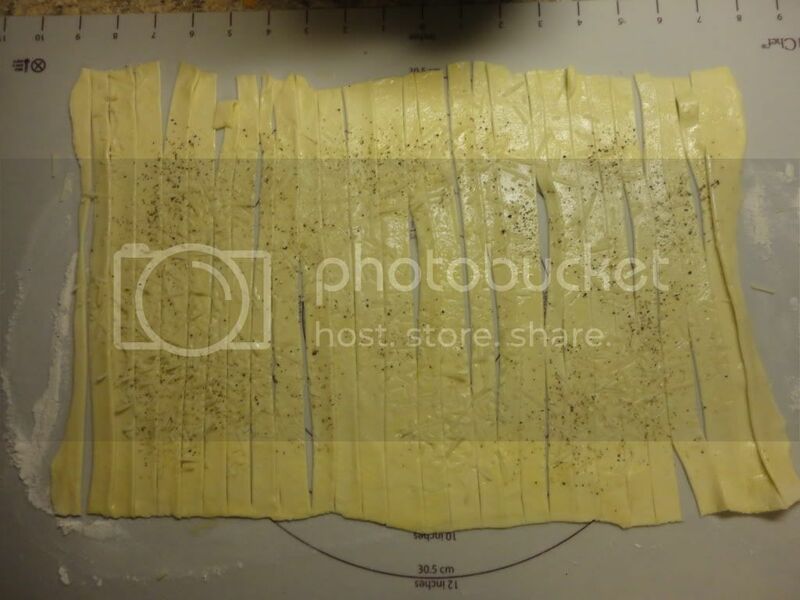 Step 2: Roll our Puff Pastry, sprinkle with salt, pepper and Parmesan. Slice. 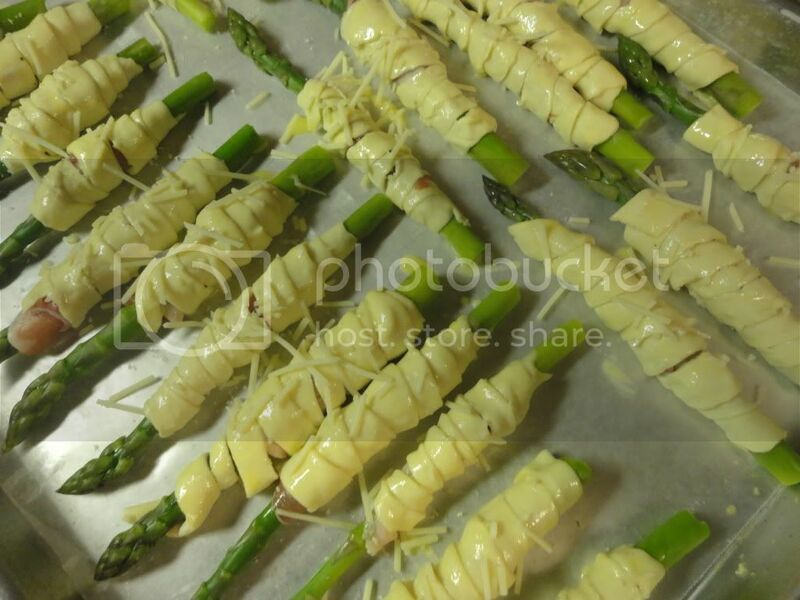 (enough strips per stalk of Asparagus. 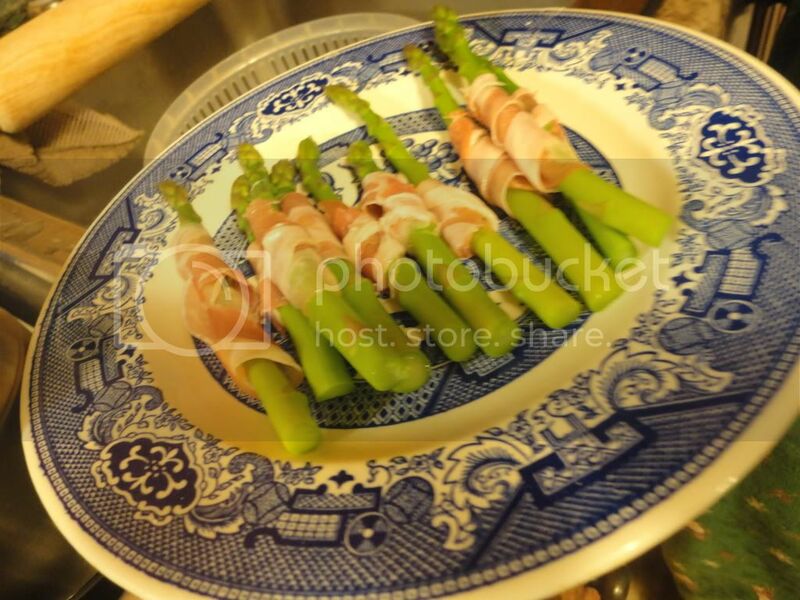 Step 3: Wrap Asparagus in Pancetta. 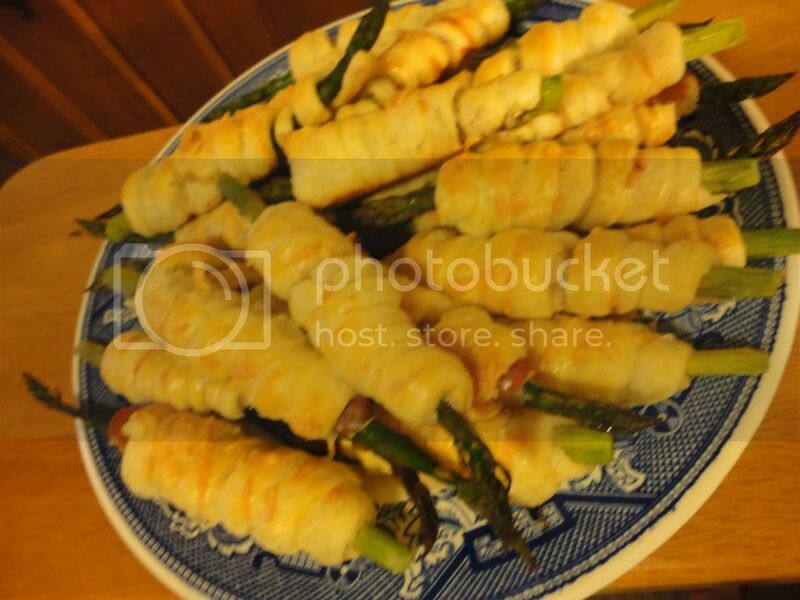 Step 4: Wrap Pancetta wrapped Asparagus in Puff Pastry. Step 5: Brush with Egg Wash and sprinkle with Parmesan. Step 6: Bake at 325 (or whatever is recommended by the puff pastry package) until golden. Step 7: Enjoy...there's no other choice.